With 194 votes and an enormous advantage over the second, Ojar Silins from Reggio Emilia, and the third, Simone Fontecchio from Bologna, Alessandro Gentile won the award going to the best Under 22 player in the Italian league. 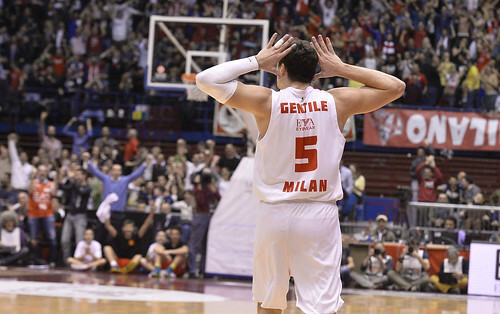 During this season, Gentile set all his personal records (29 points, 10 rebounds…) and led Olimpia to the first-place in the regular season in his first year as the team’s captain, the youngest in history. Keith Langford finished second in the best player voting, Luca was voted the third best player and Flavio Portaluppi the third best manager.